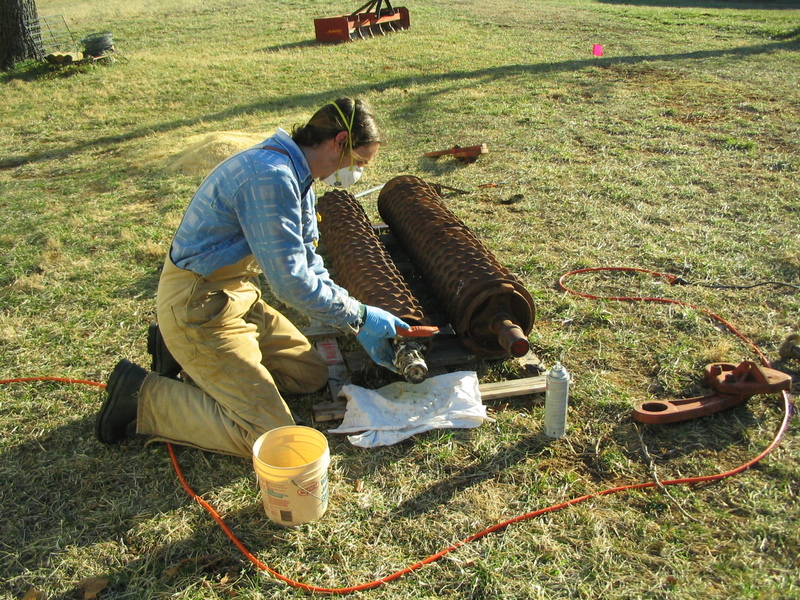 Gavin brought this old rusty seeder home in February, and has been working on refurbishing it all season. 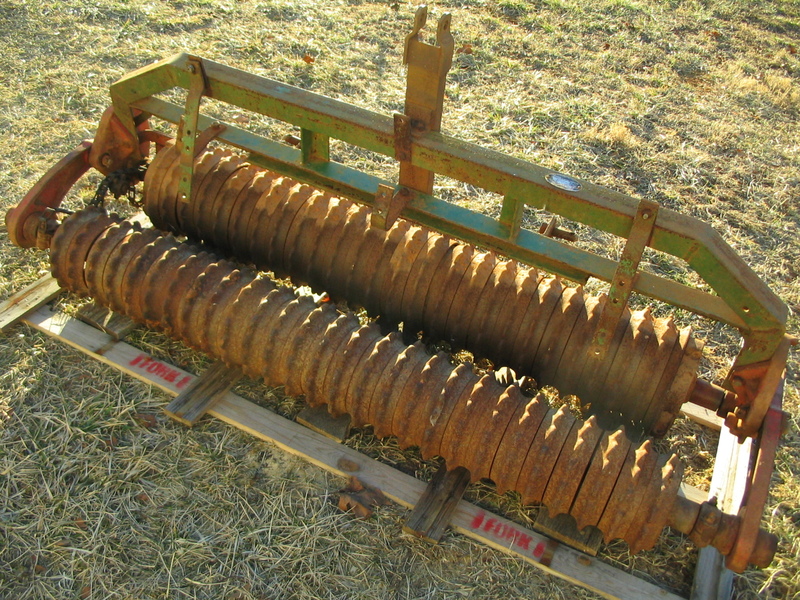 The old seeder was still in operable condition after forty years of use and Gavin saw the value in spending time to restore it to its former glory. 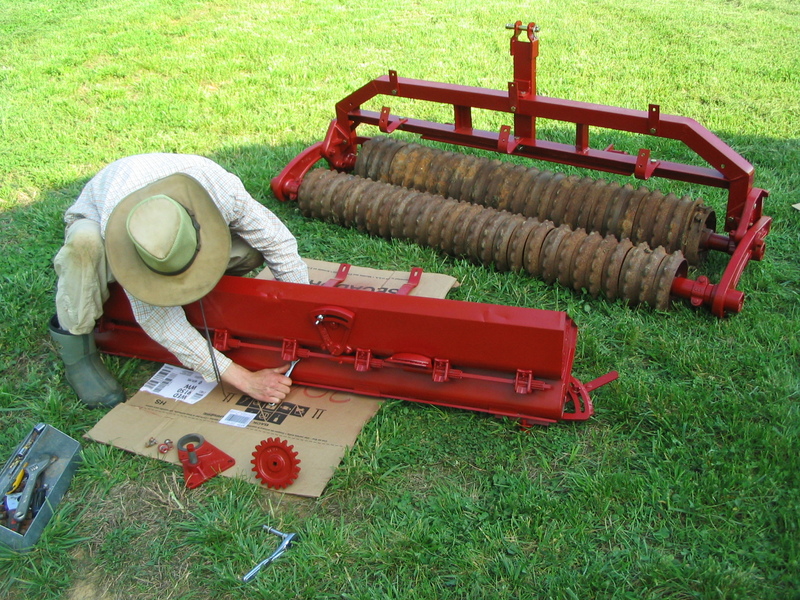 This is the seeder box. 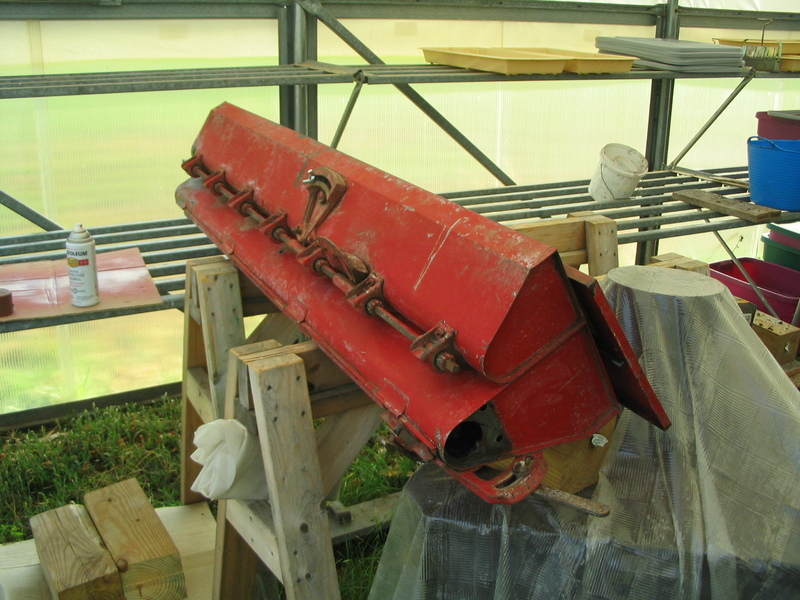 It had several pieces that needed welding, and other pieces that had to be re-fabricated out of sheet metal by a metal shop. 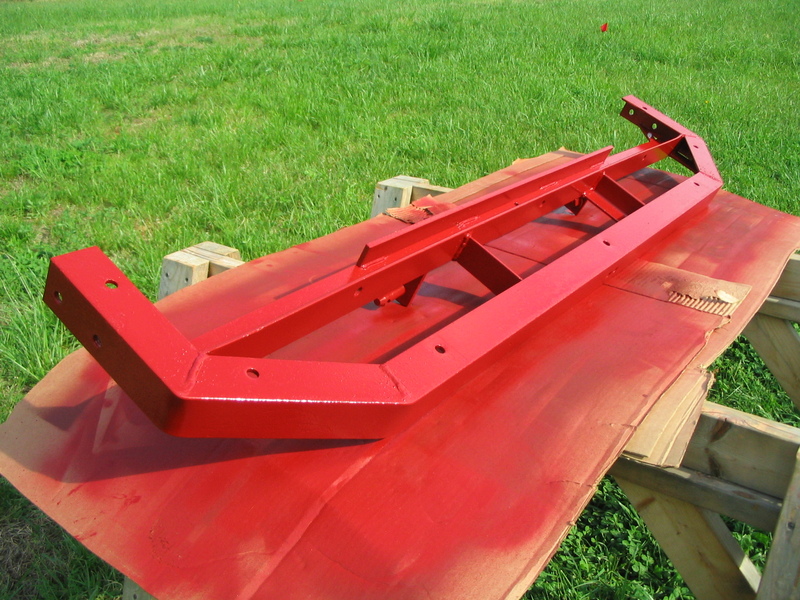 Gavin spent a lot of time cleaning off the rust before painting it. 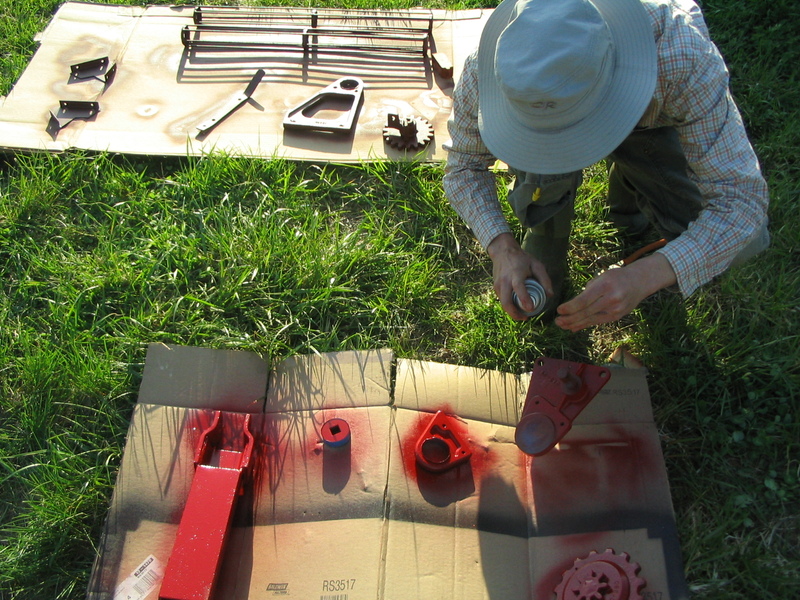 He painted every part except for the rollers. 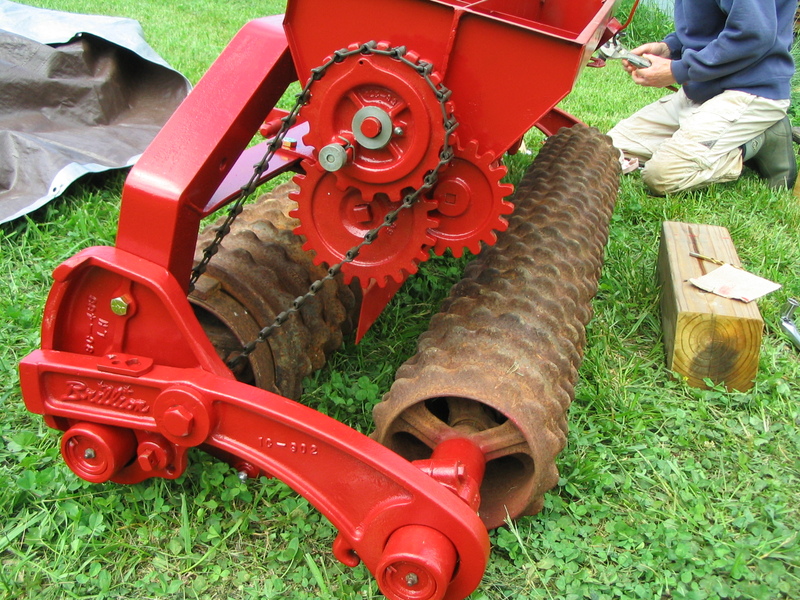 It took a lot of time to dismantle the seeder, then repair and paint each piece. 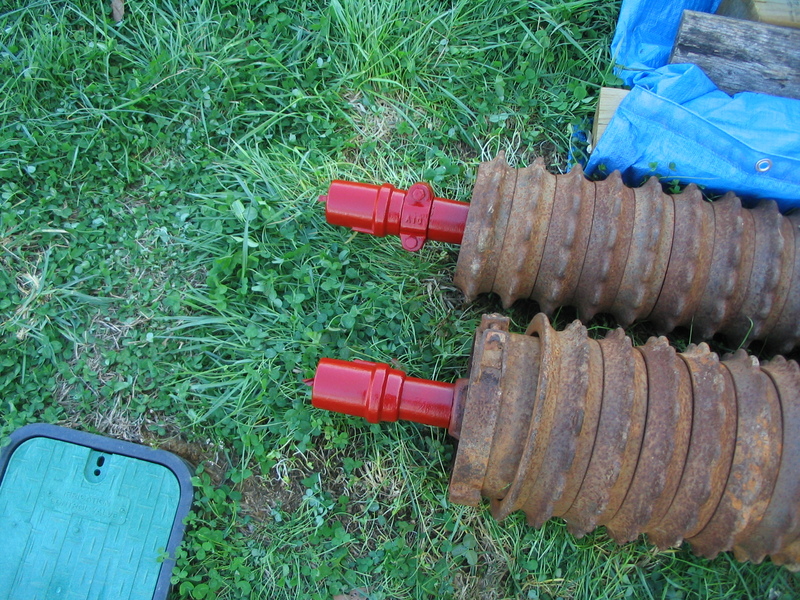 Many months later… all the pieces are ready to be put back together. 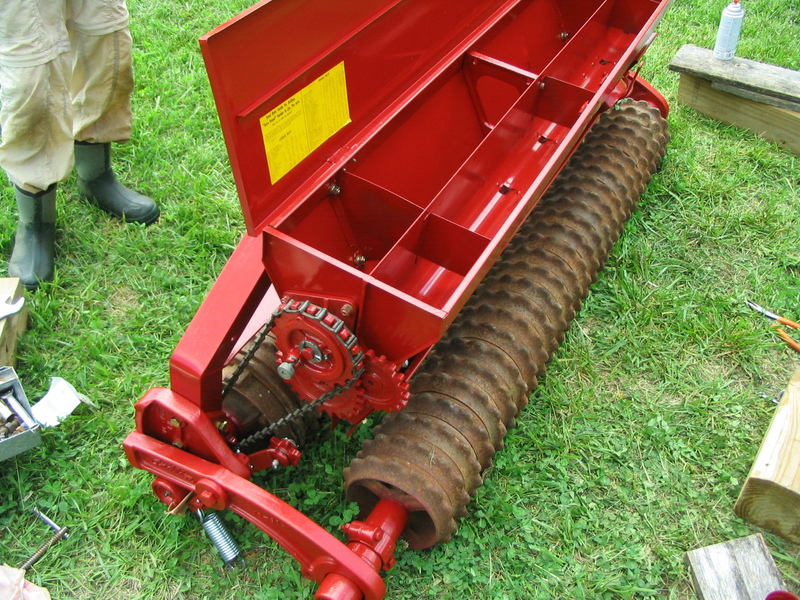 Now the seeder looks brand new, except for the rollers. We got a chance to try out the seeder a month ago, when we finally had the time to start prepping the future greenhouse sites. 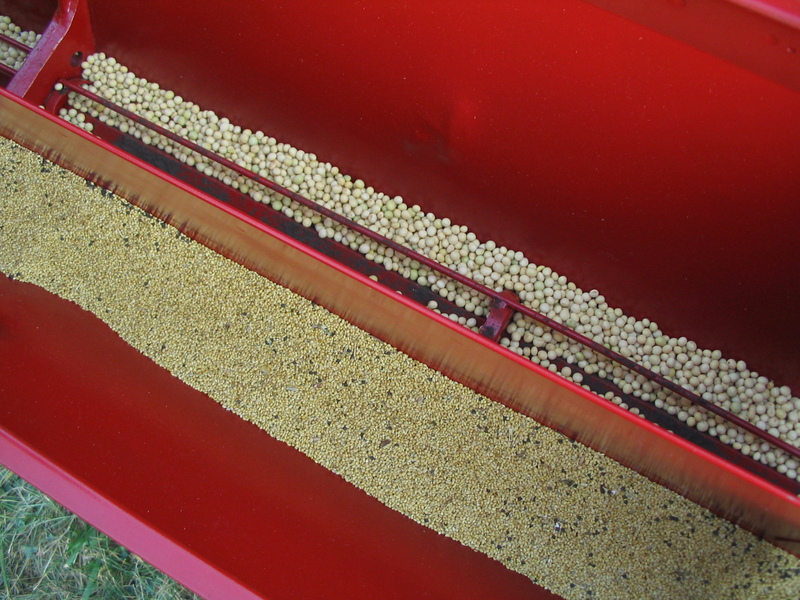 Gavin lightly tilled the area and filled the hoppers with soybean and millet seed. 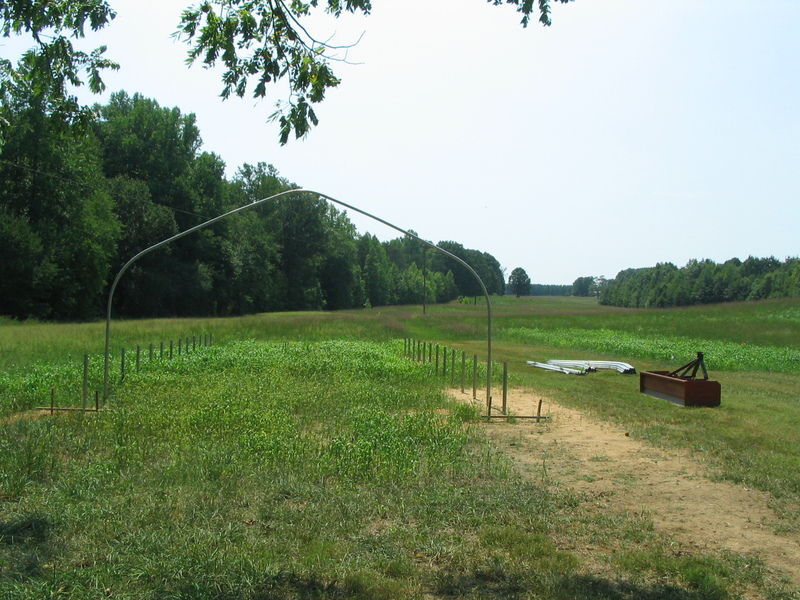 And here is the site several weeks later: after we had started putting in the greenhouse posts. The millet is growing well, but the few soybeans that germinated were eaten by deer and a groundhog. Also notice the patch of millet to the right: this is another future greenhouse site, which we hope will be occupied by late this fall. 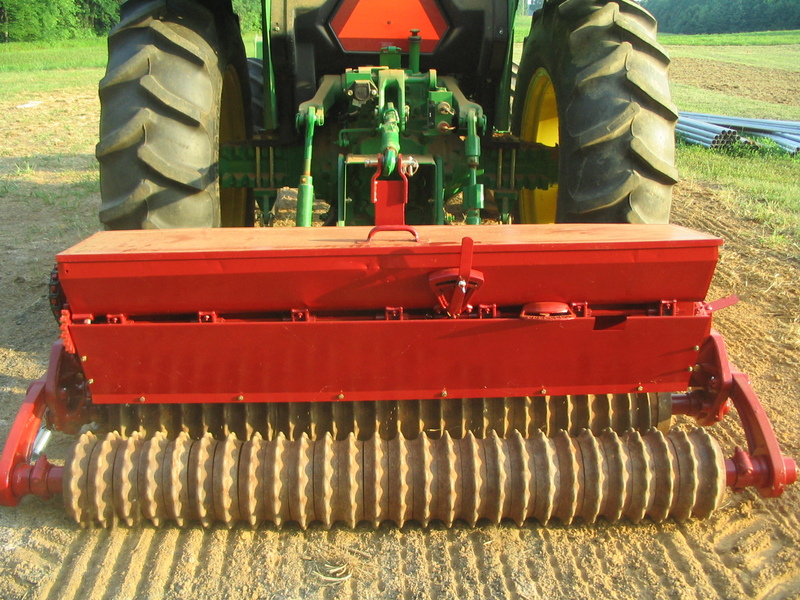 Now we have an implement that can sow large patches of mulch and cover crops!